It’s almost that time of the year again… a point where we need to pause for a day and give thanks for all the good things that have happened in the last year. One of the biggest blessings in the last couple of years has been a special lady named Alothina and her two boys, Aries and Apollo. They’ve sort of adopted me as an honorary uncle and proved that this grumpy old bachelor still has a kind heart despite the grouchy exterior. Sure, there are a few advantages to being single but they come at a very high cost. A person with no kids misses a lot… especially during the holidays. Recently I was invited to attend Aries’ school play – a musical about pirates. That is Aries in the photo. 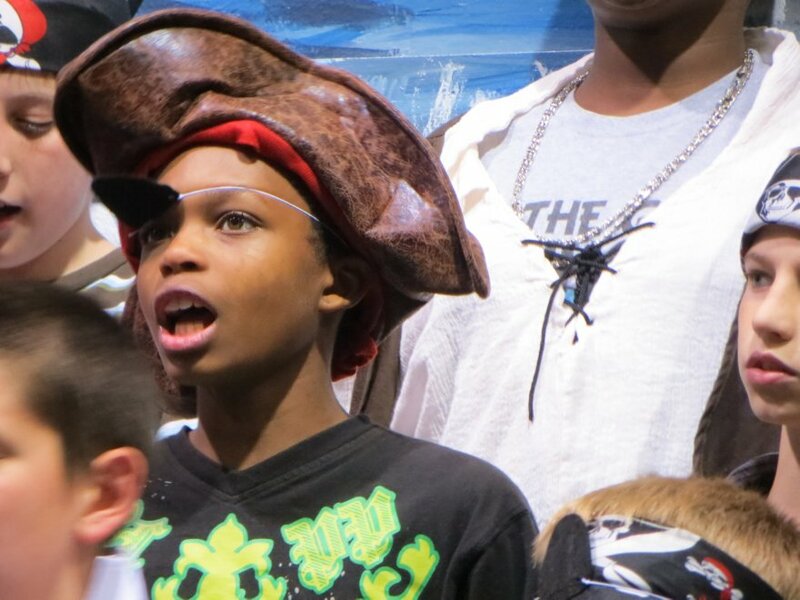 He’s a pretty scary pirate. The musical was a blast – but also a great reminder of what a person sacrifices by living like a hermit. No amount of fishing or camping can ever replace the pride I witnessed while dozens of parents enjoyed watching the kids sing their hearts out. On Thanksgiving, it will be pleasant to spend some time with these very close friends and try Alothina’s cooking. It means a lot and there will likely be pictures on the blog. Later in the evening, I’ll be at Anytime Fitness and then it’s off to go camping … back to tranquility once again! I hope all the blog readers enjoy the time with their families later this week. Life really is the greatest gift of all. Celebrate now because after this moment is gone, it’s gone. And for those who care to go out for Black Friday, may God keep you and yours safe. You won’t see the Trekker Van camping at a Walmart parking lot that day! 5 Responses to Happy Thanksgiving! Enjoy fishing and have a wonderful turkey day. Have an awesome turkey day! Can’t think of anything better for kids than camping,cooking hot dogs over an open fire and just enjoying the wonders of nature. Throw in some fishing, wow, memories to last a lifetime! Have a nice Turkey day. That’s true about the memories. Camping is too fun not to share. I’ve actually had a lot of people say “Take me with you!” I will, too. Some of my friends might have to come up with tents, etc. but it would be fun to have some company, cook up some good food, etc. 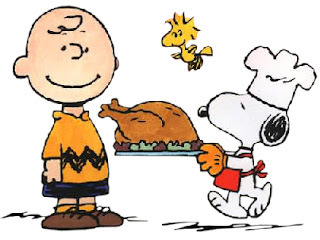 Have a great Thanksgiving day tomorrow! Hope your day was wonderful, Brad — the company and the tranquility. And camping with the kids would give them some unforgettable memories.